She was born in Kropiwki, Hola County Poland just NE of Lublin. If she had any brothers or sisters, that information was never passed on. 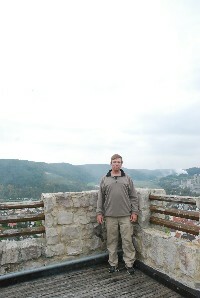 Then in October 1921 she had gotten married to Daniel Slyzsko of Rusily, Poland. Between 1925 and 1942 they had 5 children. The 1st child born in 1925 had been killed by partisans in 1942 and the 3rd born in 1931 had died in 1945, again by partisans. Sometime by the beginning WW2 she had split up with her husband and was living in Lublin near to her future husband and just a bit past mid 1942 her last child was born. 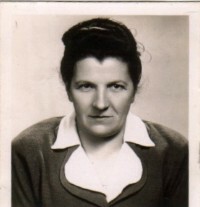 After moving into a small town in southern Germany just after the war, she got divorced to her 1st husband in September 1949 and remarried by mid November 1949. 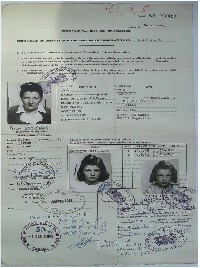 Then in January 1951 had emigrated to Canada. http://www.viximus.com/_Viximus/Photos/Raw/49259225-25E7-4D6A-A5D0-42E90AF4CE2F.jpg http://www.viximus.com/_Viximus/Photos/Raw/27E80AF4-0416-4E72-97F6-3C9E02E570E0.jpg http://www.viximus.com/_Viximus/Photos/Raw/CA408FB3-BF87-4218-B1B5-15A9E57167D4.jpg http://www.viximus.com/_Viximus/Photos/Raw/3B16A3B6-2C92-4FE2-8204-9F6E2B77FAD8.jpg http://www.viximus.com/_Viximus/Photos/Raw/05B0A5B9-1778-4DA9-B6A7-F45C471A9B1E.jpg This document was issued to my grandmother sometime in November 1950 since it has a stamp from the Health and Welfare Dec. 1, 1950. The other 2 photos are of my aunt and mother. 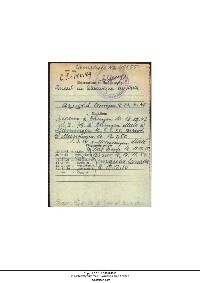 This is the reverse of the id card that my grandmother was issued while living in Schelklingen, Germany. 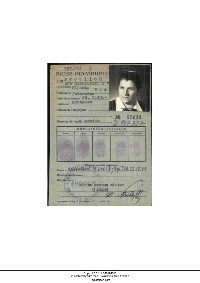 This is the front of some kind of id card that was issued to my grandmother when she lived in Schelklingen, Germany. 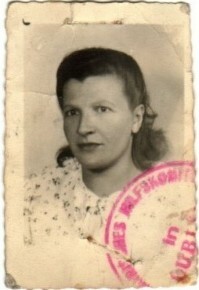 My grandmother after she left her first husband and is living in Lublin between 1940 and 1945 Ewa sometime in her forties.